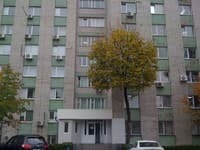 Three-bedroom apartments are located in the heart of Kiev, 3-minute walk away the railway station "Maydan Nezalezhnosti", 5 minute-walk away the railway station "Khreschatyk." 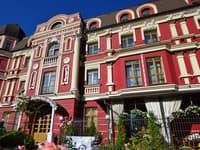 The apartments are located in a historical area of Kiev overlooking the Main Square. There are many cafes, shops and boutiques nearby. Hotel offers free Wi-Fi, fully equipped kitchen and a balcony. 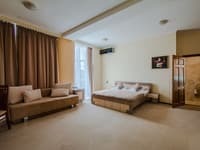 Comfortable apartment (120 sq m) features designer decor, modern furniture and is equipped with everything needed for a comfortable stay. Train station can be reached in 15 minute-drive, and the airport in 35 minute-drive. Transfer service is available on request. 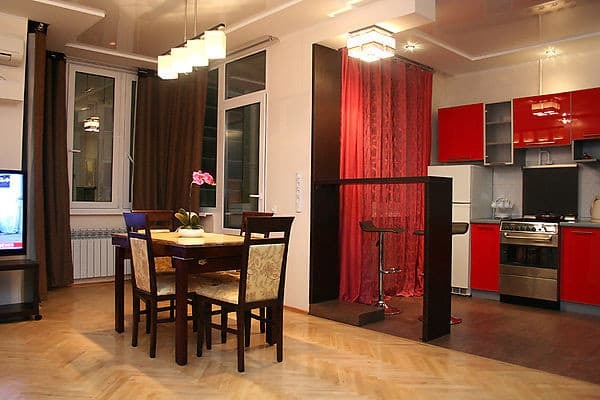 Description of the room: Cozy apartment of 120 sq.m. 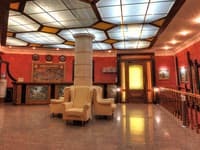 with a designer renovation, equipped with modern furniture, equipped with everything you need. 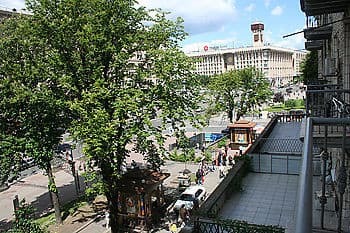 Three-bedroom apartments are located in the heart of Kiev, 3-minute walk away the railway station "Maydan Nezalezhnosti", 5 minute-walk away the railway station "Khreschatyk." 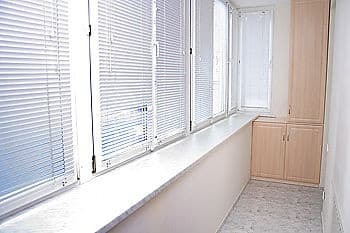 The apartments are located in a historical area of Kiev overlooking the Main Square. Train station can be reached in 15 minute-drive, and the airport in 35 minute-drive.